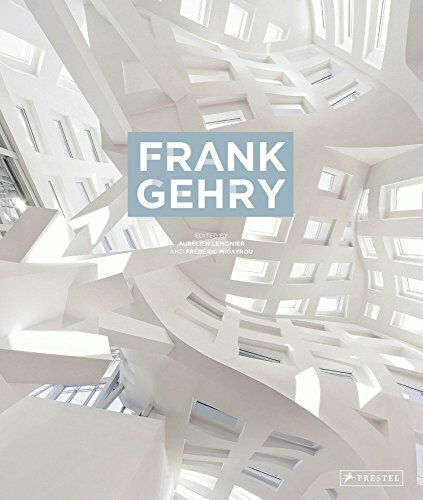 Featuring fifty of Frank Gehry’s most important projects, this lavish monograph presents the full range of the architect’s work from the past six decades. Arranged chronologically, this book follows the arc of Gehry’s career, from his early residential projects through the public and cultural facilities his studio is currently focused on. The book explores the evolution of Gehry’s work, and how he has ceaselessly embraced formal, technological and constructional innovations, while his practice has never wavered from his vision. It examines his work in the context of the urban environment, showing how Gehry continually strives to challenge the idea of the city, creating urban buildings that respond to their surroundings without trivializing them. The buildings profiled here―including the Vitra International Furniture Manufacturing Facility and Design Museum in Switzerland, Walt Disney Concert Hall in Los Angeles, the 8 Spruce Street Skyscraper (Beekman Tower) in New York, and the Fondation Louis Vuitton―are represented in dazzling color photographs as well as preparatory drawings, plans, and models. From his early years working within the L.A. Art Scene, to his Pritzker-winning recognition, to his pioneering research into the application of computer-aided-design in all aspects of the building design process from the first sketches to the final elements of construction, Frank Gehry, now in his eighth decade, continues to surprise and inspire the public. This informative, fascinating volume is a must-have for his ardent fans and anyone interested in architecture. If you have any questions about this product by Migayrou Frederic, contact us by completing and submitting the form below. If you are looking for a specif part number, please include it with your message.